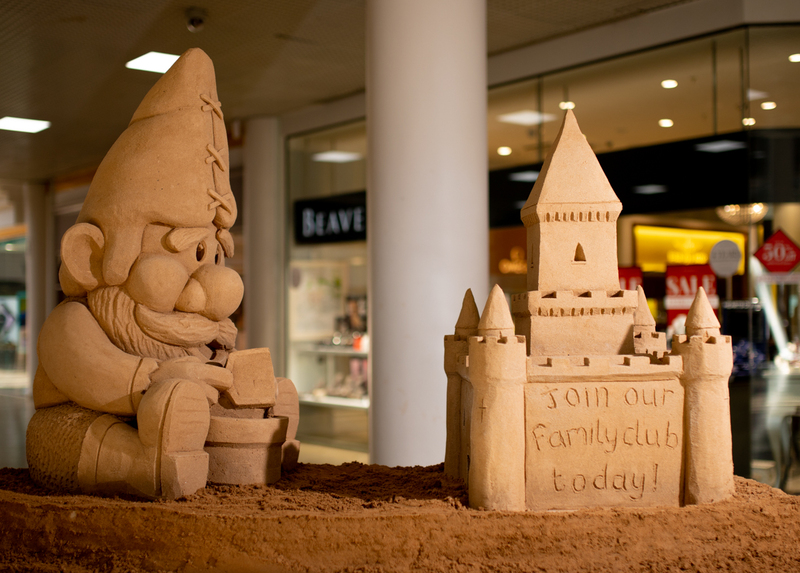 Our pre carved and delivered sand sculptures have become really popular. 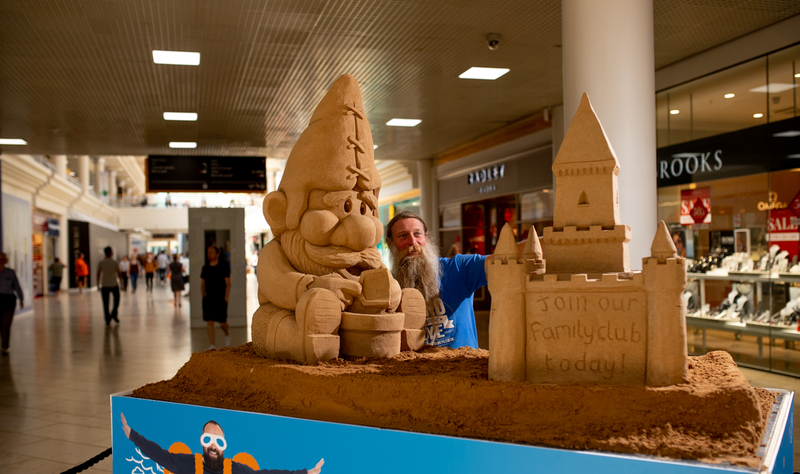 Amazing sand sculptures without the mess! Perfect for indoor events and even better as they are already dried out you can keep them for years! 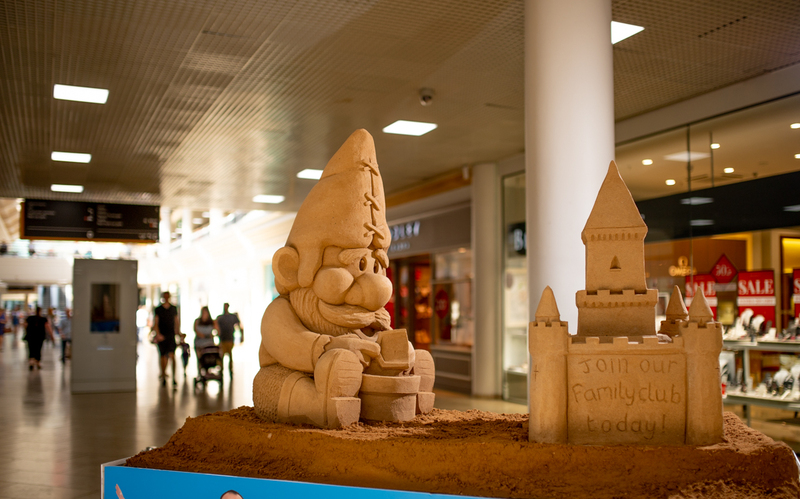 The first pre carved sand sculpture we created for Intu Metrocentre was last year. 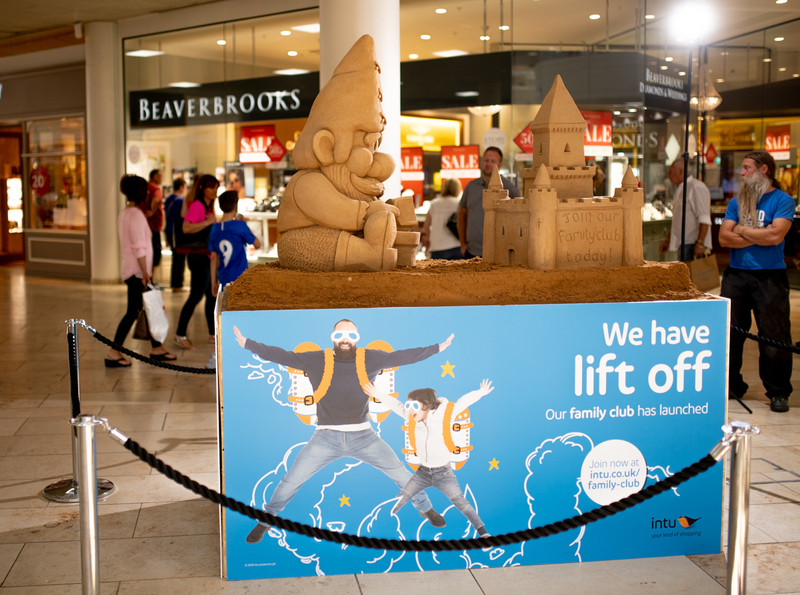 We created the Metrocentre Ducks from sand, so we were really happy that the centre approached us again to this time created one of their most loved characters out of sand. 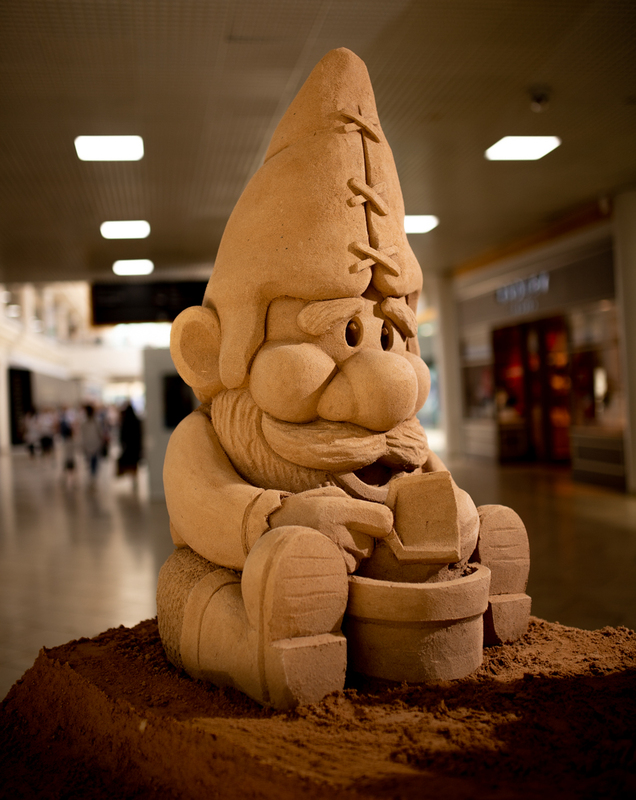 Herbert, one of the shopping centre’s gnomes was the subject this time. 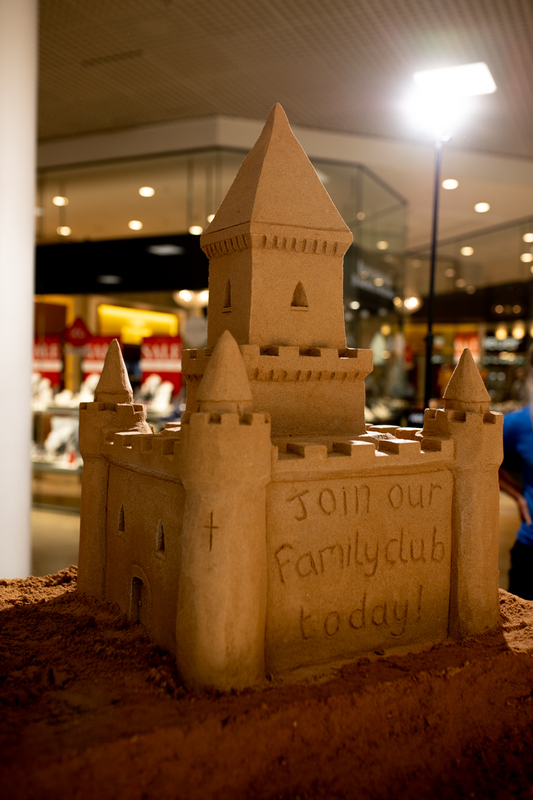 Jamie carved the character in our West Yorkshire sand sculpture studio and Rich made the castle. They then delivered them to the shopping centre. 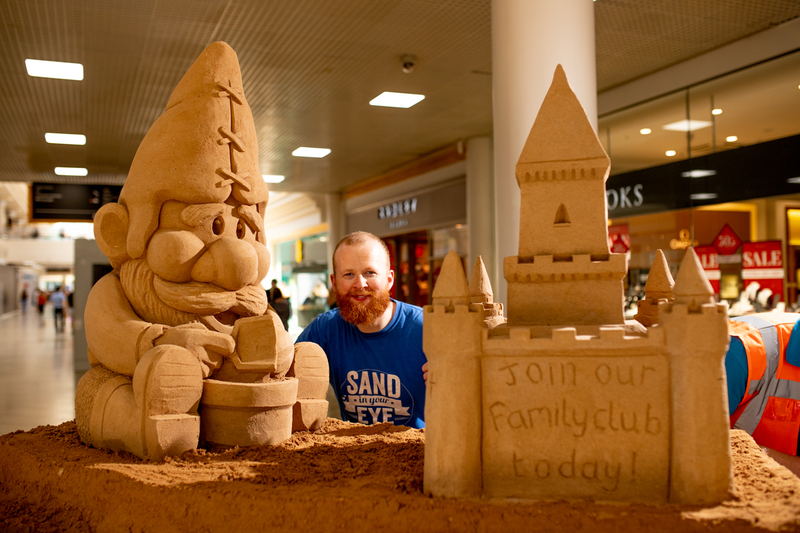 The gnome building his sand castle will be on display throughout the summer so pop into Intu Metrocentre and say hello! 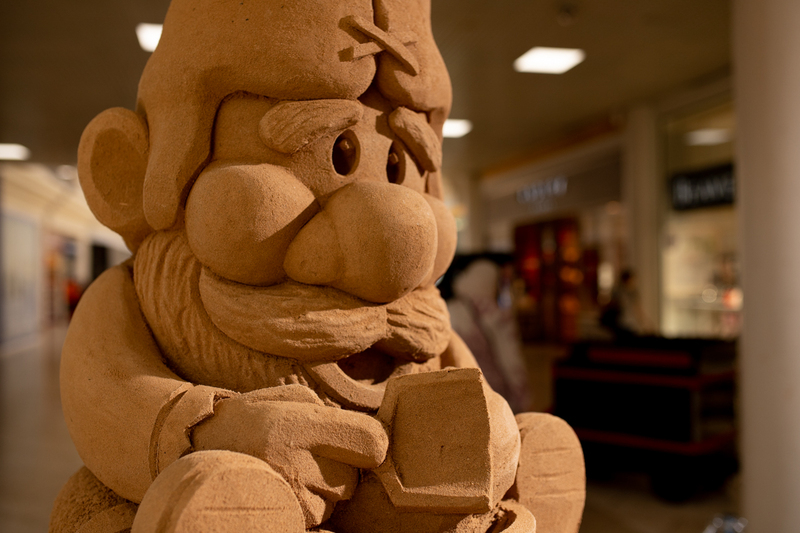 Why not tweet us a selfie of you and the gnome. The staff at the Metrocentre couldn’t be nicer and we always look forward to working with them. Thank you again to all the staff!